Congratulations to Dani and Jason for accomplishing the "impossible" and proving that with hard work and dedication "impossible" becomes "possible". Of course it took a lot of grit and determination along the way too!! Lots of folks have asked me why Dani chose Florida. 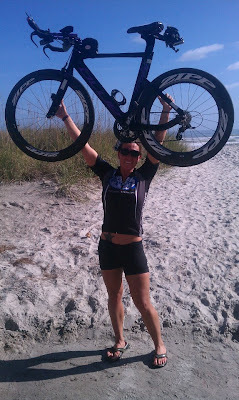 Several years ago (Nov 2006), she was down in Florida to support friends racing Ironman Florida when she was struck by a drunk driver while on a training ride. Drs told her she would never ride or run again. This ride was her way of saying "you didn't get the best of me". Way to Go Dani!!!! Yesterday Jason finished EPICMAN in Oahu. 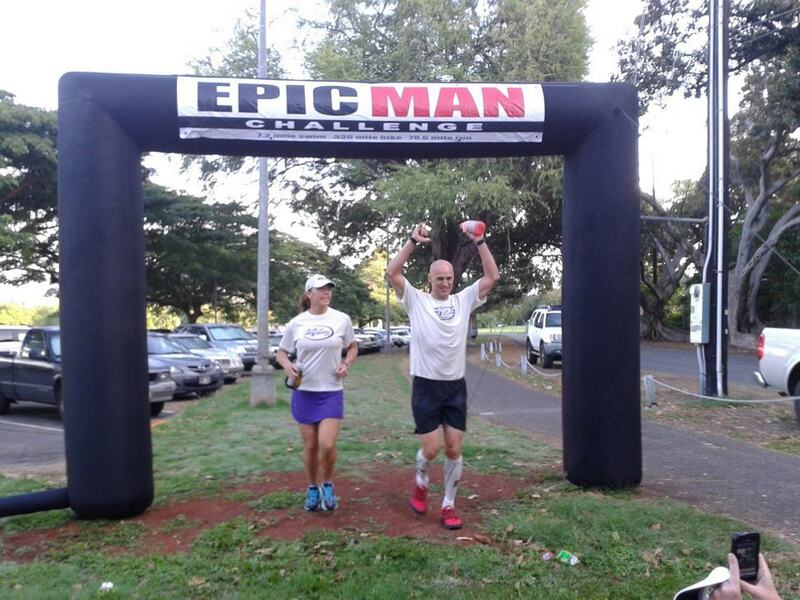 He toughed it out when his body was screaming at him to stop and finished in 49 hours 10 min; FIRST OVERALL MALE!! I think Jason may still be sleeping :D but once he posts his story, I'll be sure to link to it!! Humble Heroes Mission Statement: Humble Heroes is a 501c(3) charity committed to standing behind the men and women in public safety. The purpose of Humble Heroes shall be to assist Police Officers, Firefighters, and their families by providing financial and moral support to those who have been seriously injured or fallen ill, while building solid relationships between public service and the communities they serve. amazing. two amazing stories of strength and courage. EPIC!!!! 1BandID - maybe you need one too!